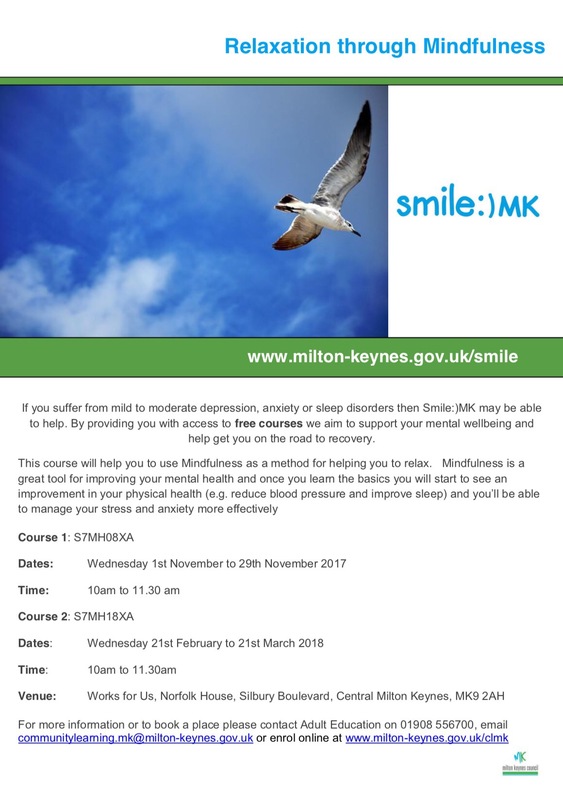 I am delighted to be working with Community Learning MK and the Smile:)MK project delivering courses on stress and anxiety management and relaxation through Mindfulness for 2017/18. Click on the images for dates and venues. To book see details below. Please note different dates and venues.